MEDITATION IN CROWDS. 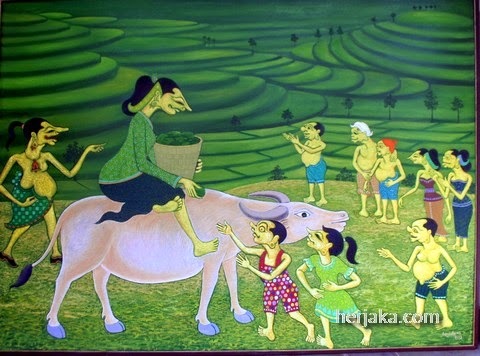 Riding a white (albino) buffalo, as a symbol of safety, Dewi Sri is doing a meditation among the crowds (tapa ngrame). While giving them foods, her doing not only make them satisfied, but also make them safe.